Homeowners are often looking to upgrade their plumbing fixtures to bring a fresh look and feel to their homes. 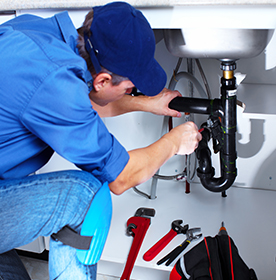 For new and rejuvenated plumbing in their bathrooms, kitchens, laundry rooms and basements, Chicagoland residents rely on a wide range of plumbing remodeling and fixture installation services from Old World Plumbing. Each type of project comes with its own set of specifications and challenges, which is why it’s important to choose a plumbing company with years of experience to tackle the plumbing remodel work. Most homes have an assortment of plumbing fixtures, and they get a lot of use. If you’re like most people, you don’t even realize how much you rely upon them – until they fail. When that happens, you need a trusted professional to install your new plumbing fixtures correctly. Improper installation has a way of leading to huge issues down the line. If you’re interested in taking on a bathroom, kitchen or utility room remodel, now is a perfect time to change out your fixtures. Not only will they function better than your old fixtures to save you money, they also look great, add an updated look and improve the value of your home. One of the most frequent requests we get at Old World Plumbing is for bathroom remodeling and fixture installation. We know that bathrooms are an integral part of any home, and they’re where homeowners can showcase their design preferences and style. From modern to classic to bold or understated, Old World Plumbing will install any fixture. Similarly, from massaging showerheads to high-efficiency toilets or high-end sinks and faucets – we have the experience to install anything. The options are practically unlimited, so we work with our clients to give them the bathroom remodel of their dreams. We know that these projects can be stressful with so many options and decisions to make, but we serve as both an expert consultant and an efficient installation team to make sure the project goes off without a hitch. Does your kitchen lack appeal? Does it resemble something from a bygone era? Simply replacing plumbing fixtures can bring it into the modern age. From economical to extravagant, Old World Plumbing has the experience necessary to install all types of kitchen plumbing fixtures and appliances. Once the design decisions are made, the most important part of the project is bringing in a highly skilled plumber to make installation a flawless process. Too many homeowners bring in an underqualified plumber whose installation technique leads to serious problems later. While we at Old World Plumbing believe that our track record speaks for itself, you should also check out our testimonials to see for yourself how seriously we take customer service and customer satisfaction. Make an appointment today by calling us at (630) 315-0888.